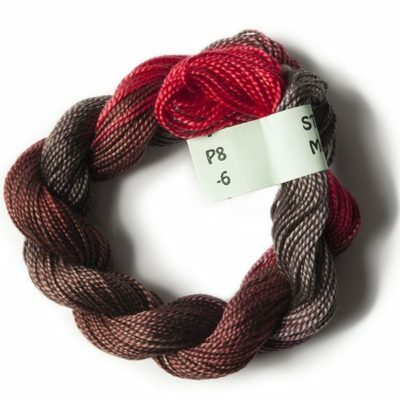 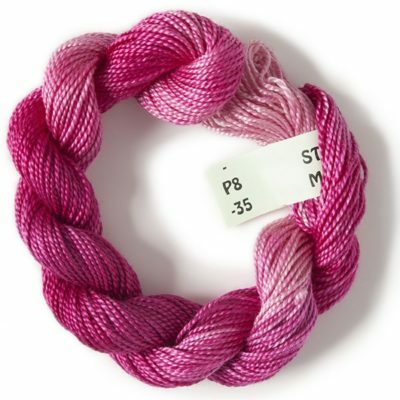 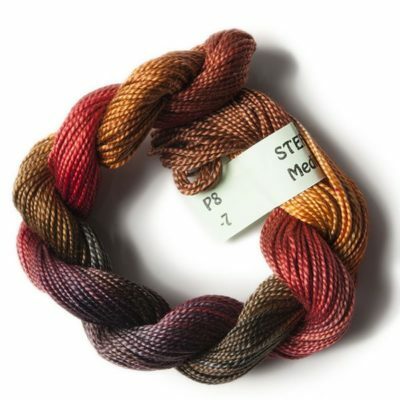 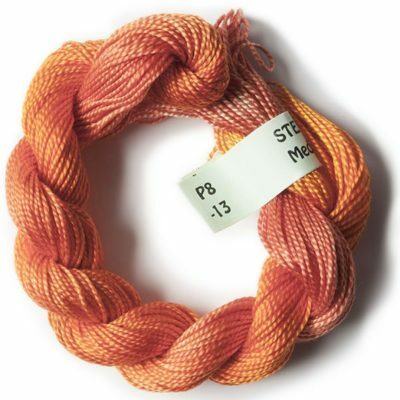 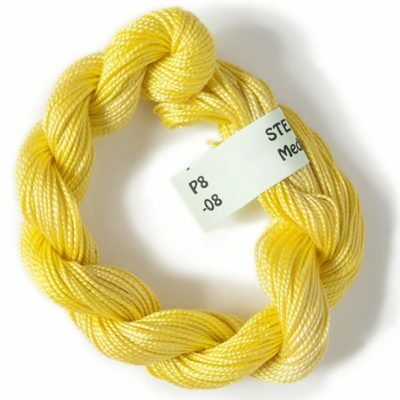 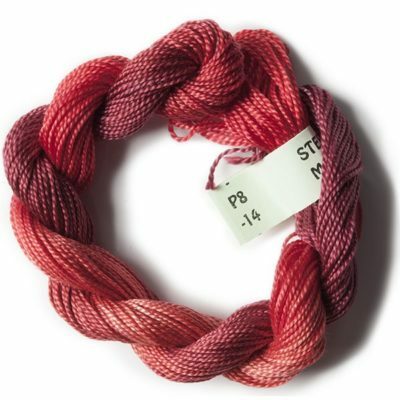 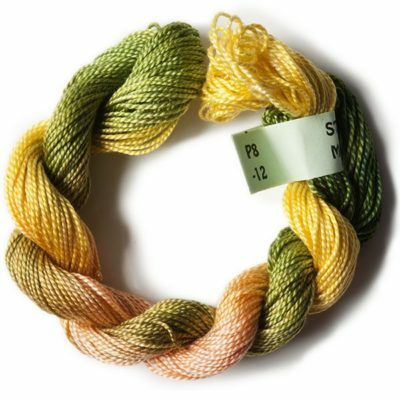 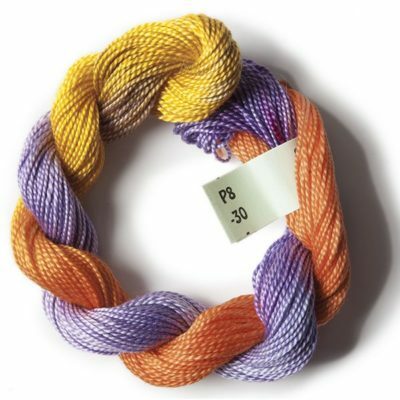 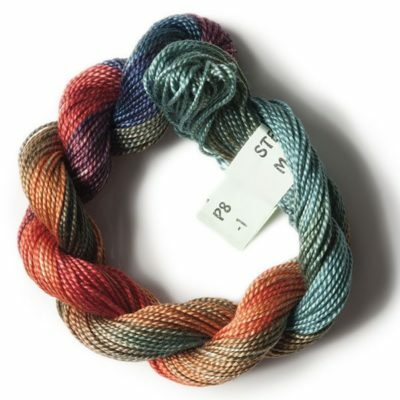 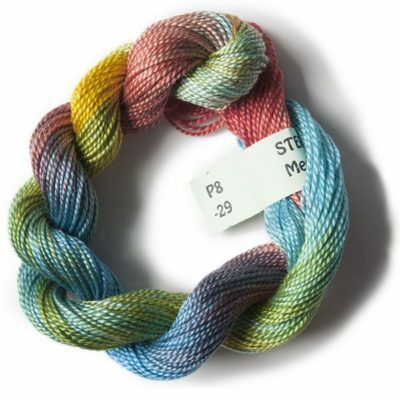 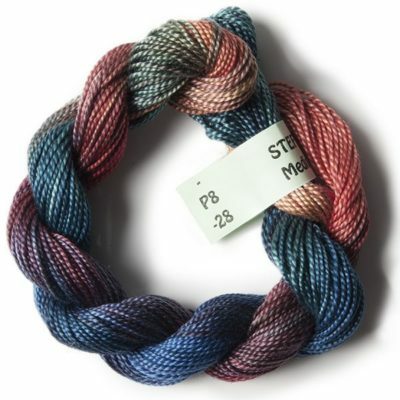 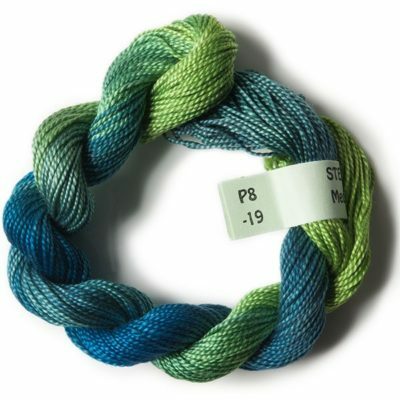 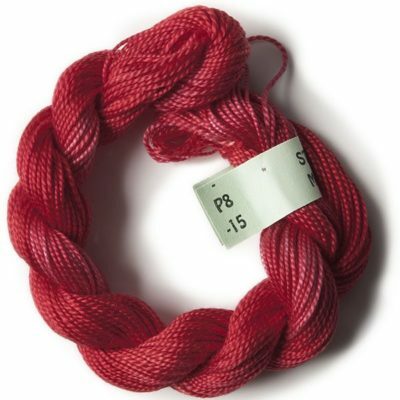 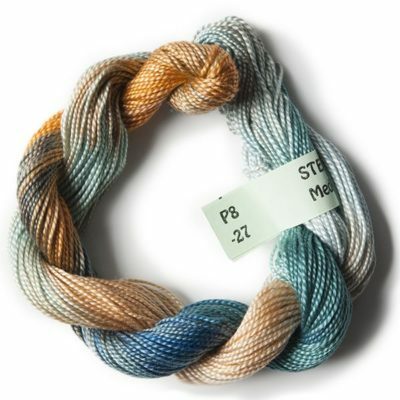 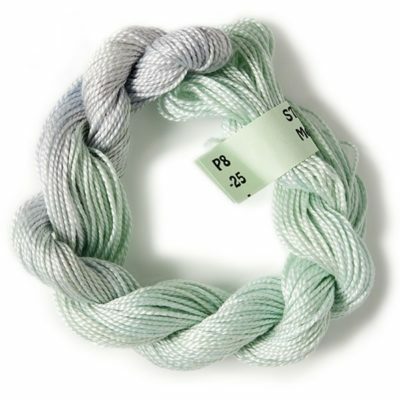 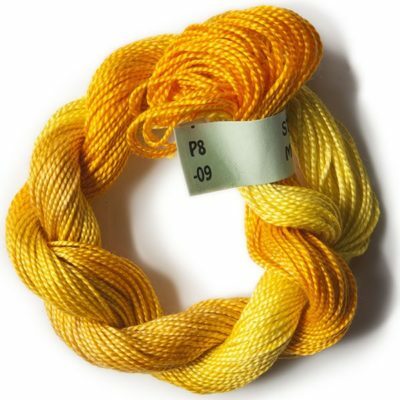 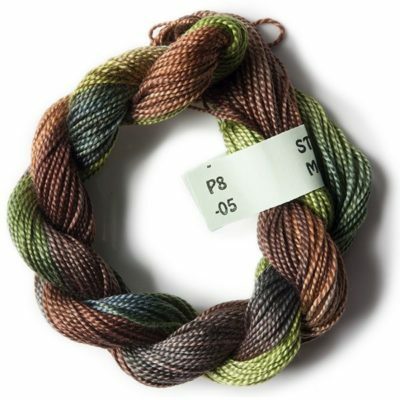 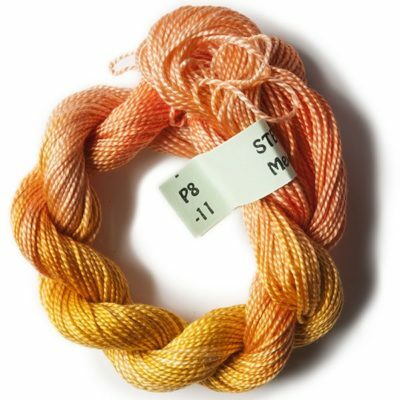 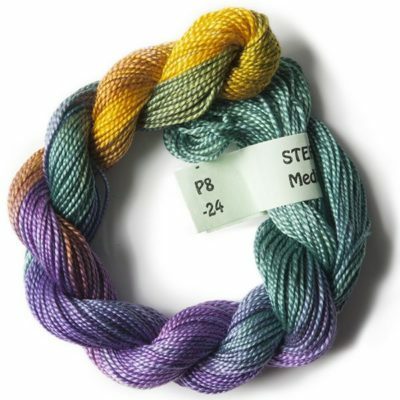 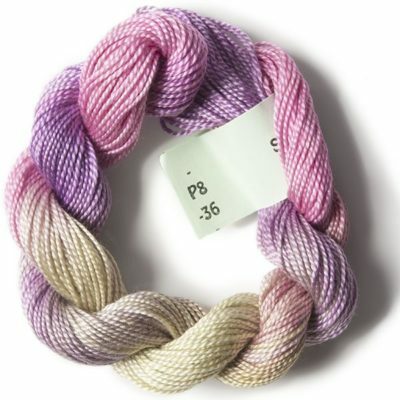 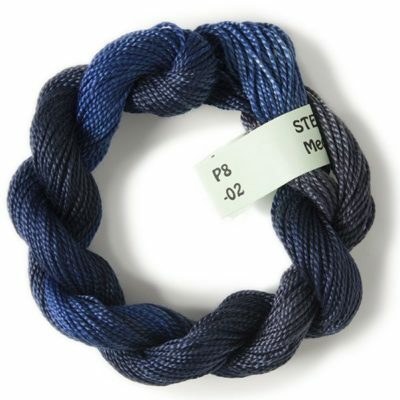 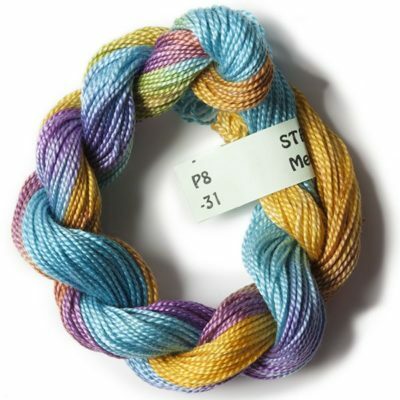 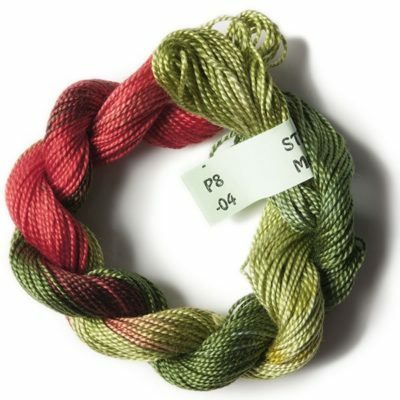 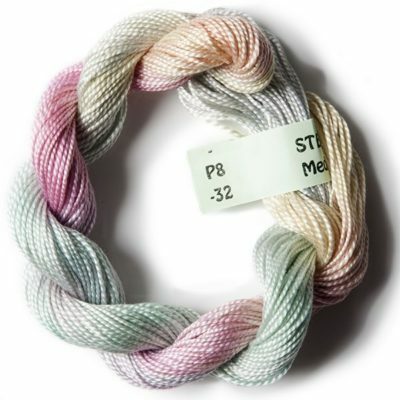 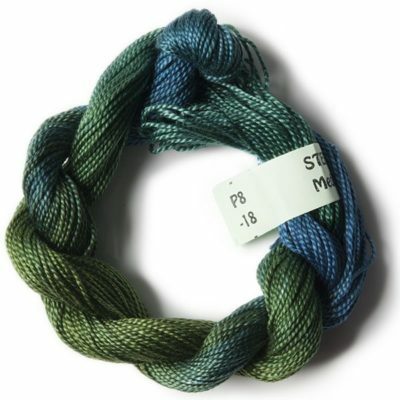 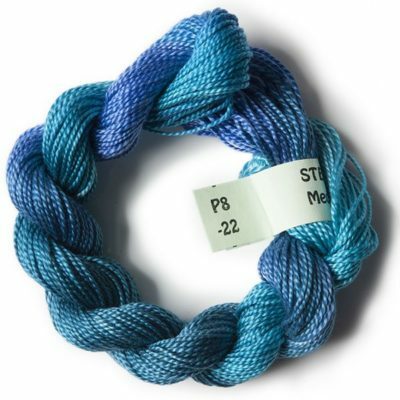 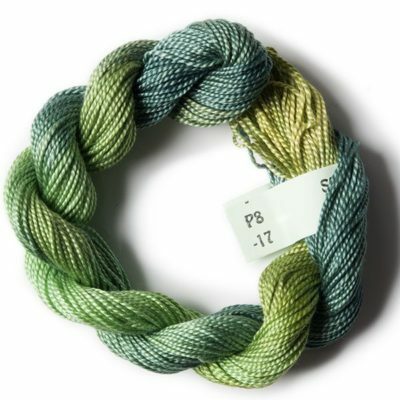 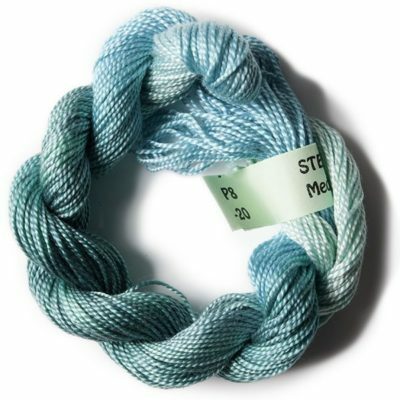 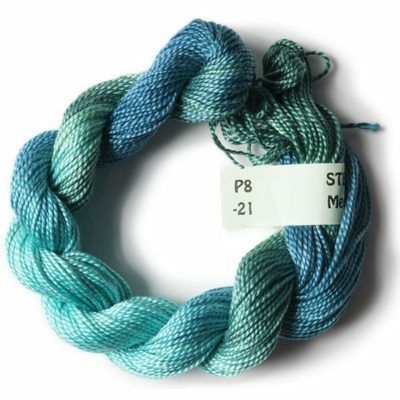 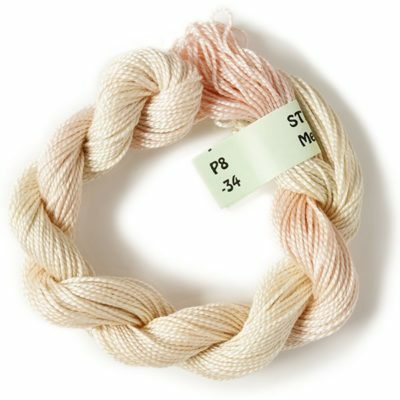 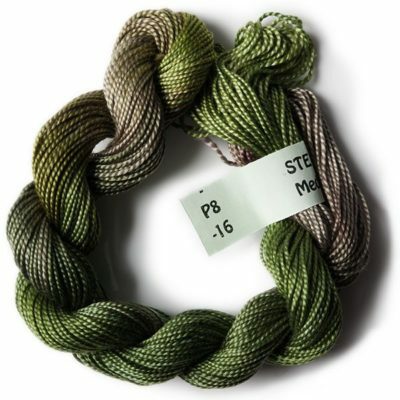 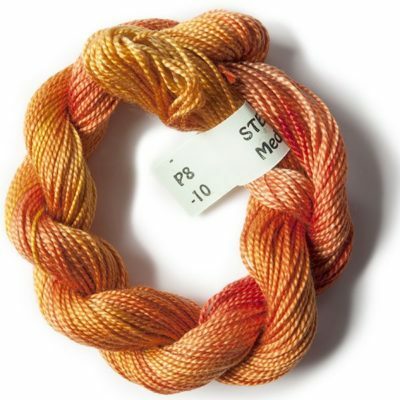 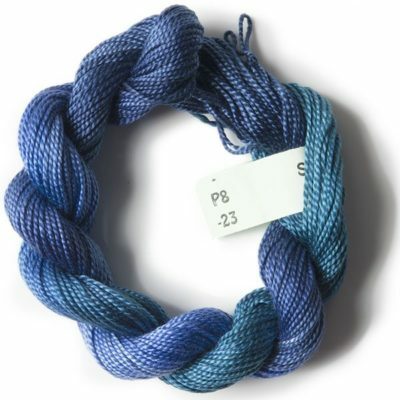 Perle 8 cotton is a medium weight cotton yarn, well known by most embroiderers. 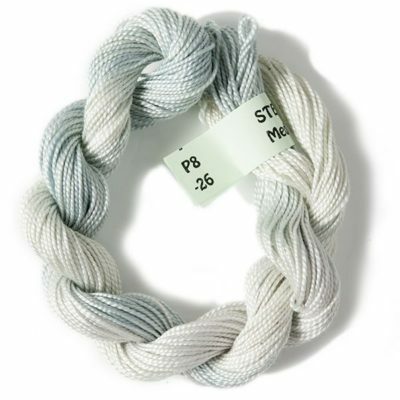 It is made with the highest quality long staple, Egyptian, combed, gassed, and mercerised cotton. 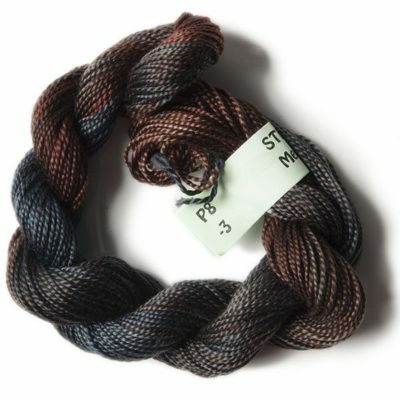 It is dyed in our full range of 52 colours.